Call for your free water test no obligation! Dowload our brochure for more information! • Water change (20-30%) using gravel vacuum. ONE TIME VISIT: No contract, no obligation. This is perfect for the busy hobbyist, a quick cleaning right before a party, or when you're on vacation. Also, makes a GREAT gift! CONTRACT: Here, we provide guaranteed, scheduled service once or twice a month at a lower price. Since prices are subject to change, contracts allow you to lock in prices for one year. Without a contract, service is performed as time permits. NOTE: In order to be considered under contract, Aloha Island Aquarium must have a signed agreement on file and receipt of first and last month’s service fee. For our customers under contract, we have a 90 Day FULL REPLACEMENT Livestock Guarantee. 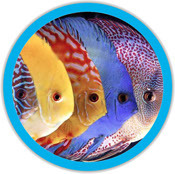 This guarantee is valid as long as Aloha Island Aquariums maintains the aquarium, stocks the fish on a cleaning visit, and when supplementation and feeding are performed as directed by the maintenance technician. 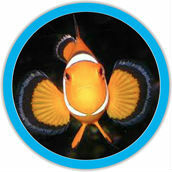 All livestock and aquarium products must be purchased from Aloha Island Aquariums. ANY deviation from these terms voids this guarantee. Across the room or across town! While we do not build or install ponds, we will install and maintain pond equipment. Each pond will be evaluated on a case-by-case basis. There is a non-refundable $40.00* fee to do any on-site consultation. Once an on-site visit and evaluation is made, the $40.00 consultation fee can be credited towards the service fee of the next visit.